Groseclose makes dinner with her husband, Jason, and son, Christian. (Left) Cynthia Groseclose; (Right) Whole roasted snapper is the centerpiece for a veg-forward dinner. 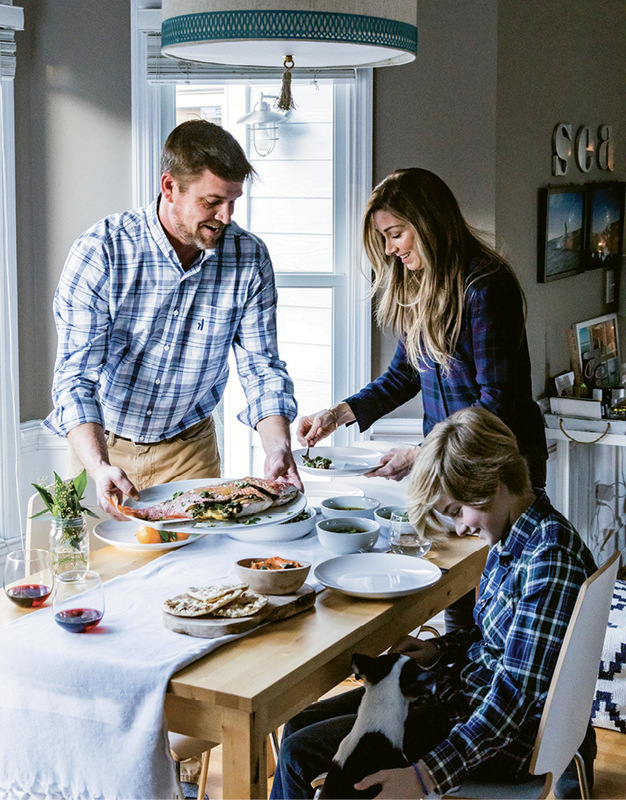 In addition to developing recipes for some well-known clients—including cookware giant Le Creuset—Groseclose is a sought-after food stylist working for magazines from Garden & Gun to Shape, and commercial clients as well. The food styling industry as a whole has moved away from “tricks” of bygone eras (think materials to make things shiny or prevent melting) and more into embracing the inherent beauty of the dishes and their setting as the mediums for making things pop for the camera. That suits this creative stylist just fine. As a classically trained chef who once worked under superstar Daniel Boulud, Groseclose was first attracted to what she terms “technique-heavy food” that was highly constructed. This showed up in her catering company, Canape, where the focus was on endless amuse bouches and small plates designed to delight her clients and scratch Groseclose’s creative itch. “But then my real life started, and I became a mom,” Groseclose says with a chuckle, referring to the birth of her son, Christian, now 11. 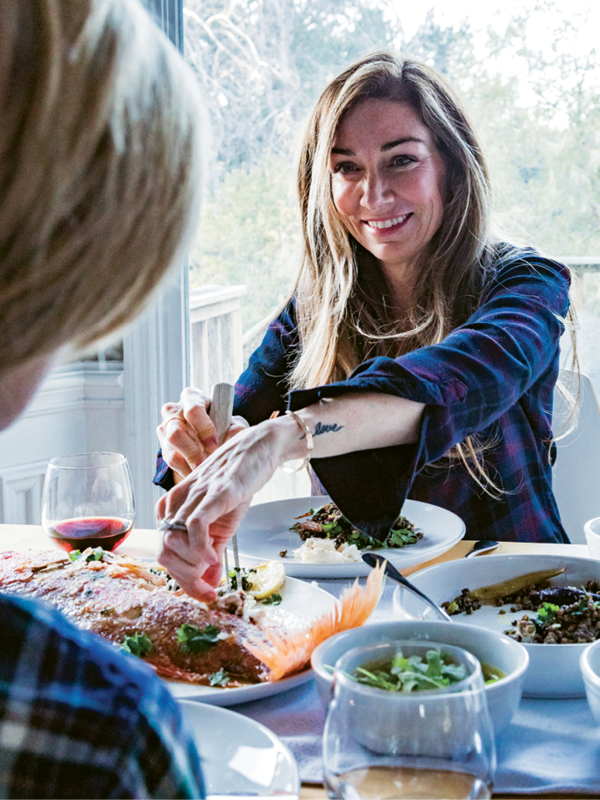 “I had to figure out how to have the food that I love fit with my lifestyle.” These days she’s moved from creating recipes that are easy and quick to focusing on the power of plants. In fact, she earned a certification in plant-based nutrition through The Center for Nutrition Studies at Cornell University “just because I was interested, I wanted to learn,” she says. In her own home, that means she tries to plan menus that will satisfy the whole family. 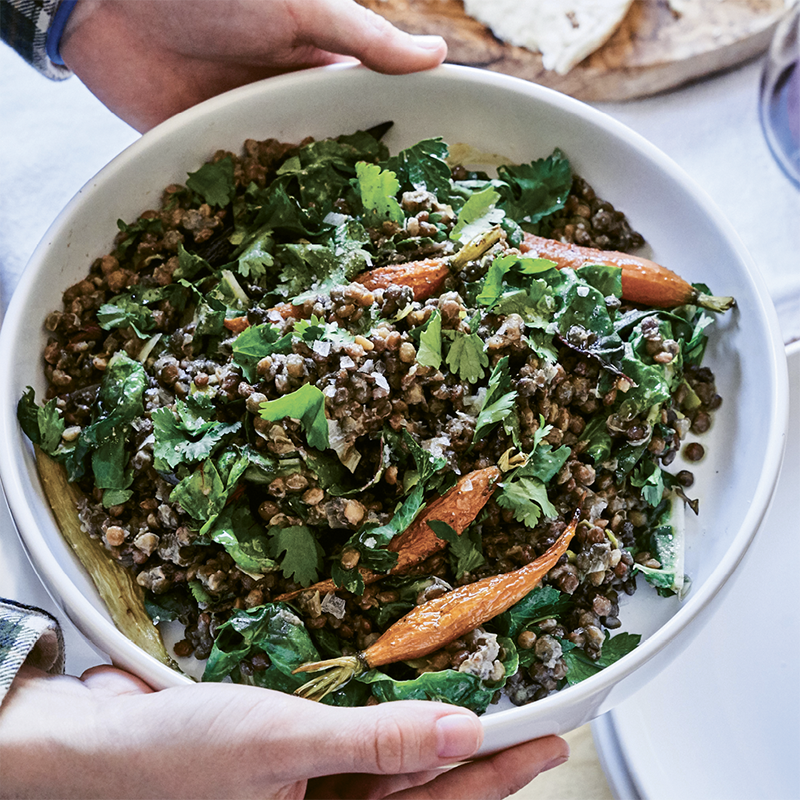 In addition to a plant-based main dish, she’ll often prepare a protein. 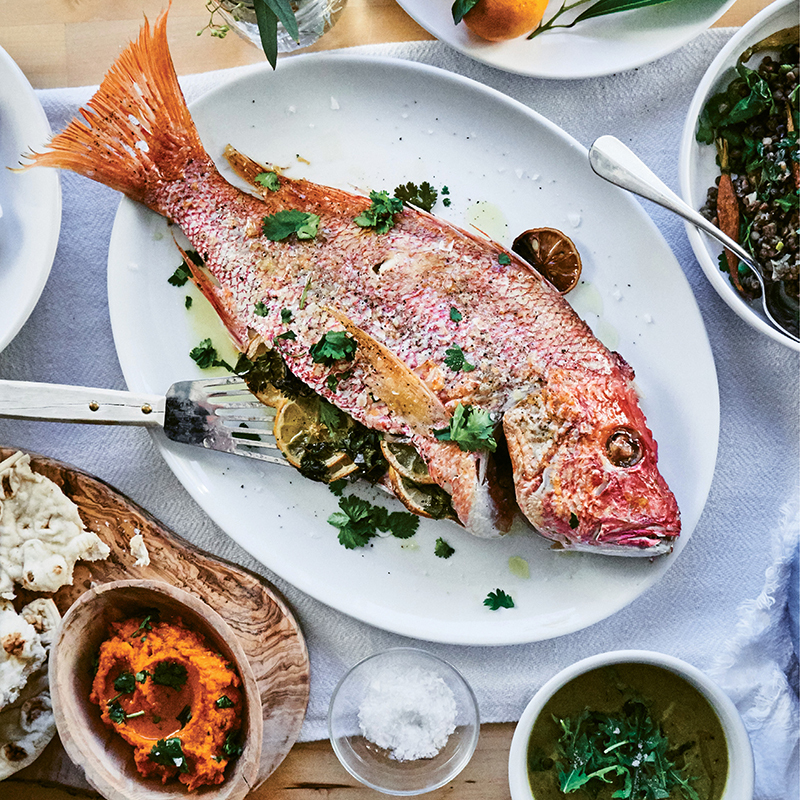 A sustainably sourced whole fish is a mindful choice. She says, “It’s less wasteful, and the bones and cartilage can easily be used for stock.” The meal begins with veg-heavy starters. 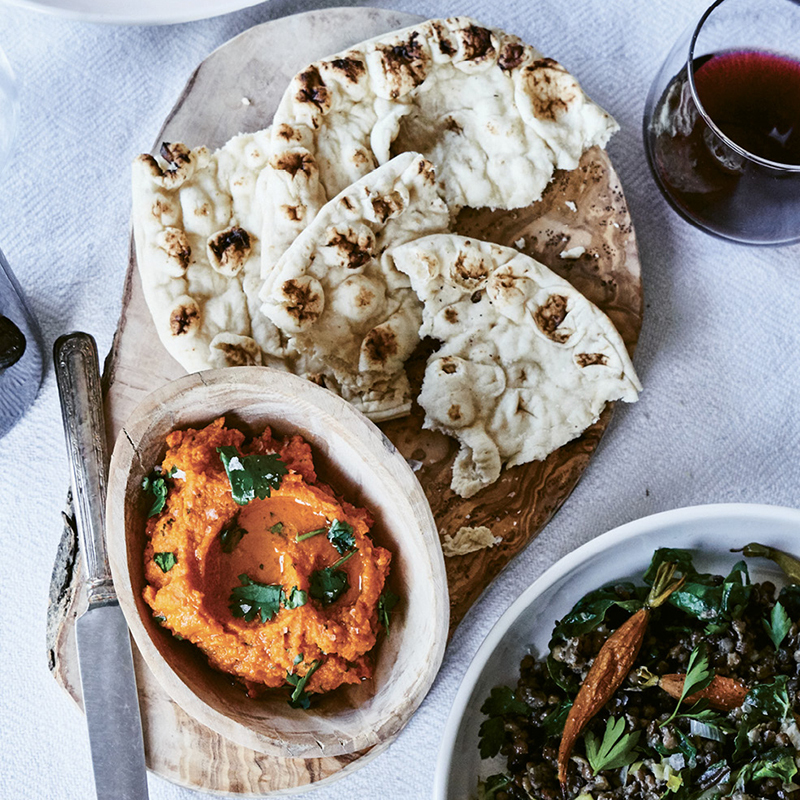 A spicy harissa and carrot spread makes a great alternative to chips and dip when paired with naan. 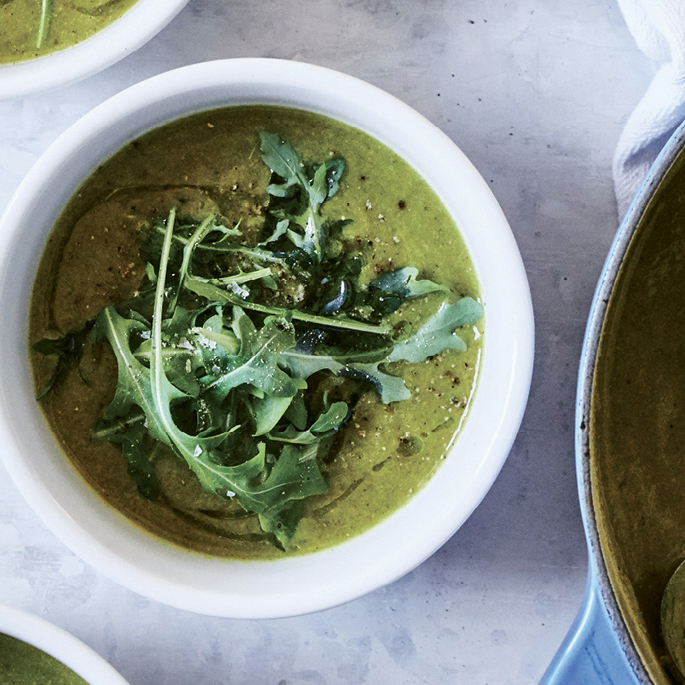 And a broccoli and arugula soup is filling without being full of empty calories. As mindful as Groseclose is about eating well, there’s still room for sweets. 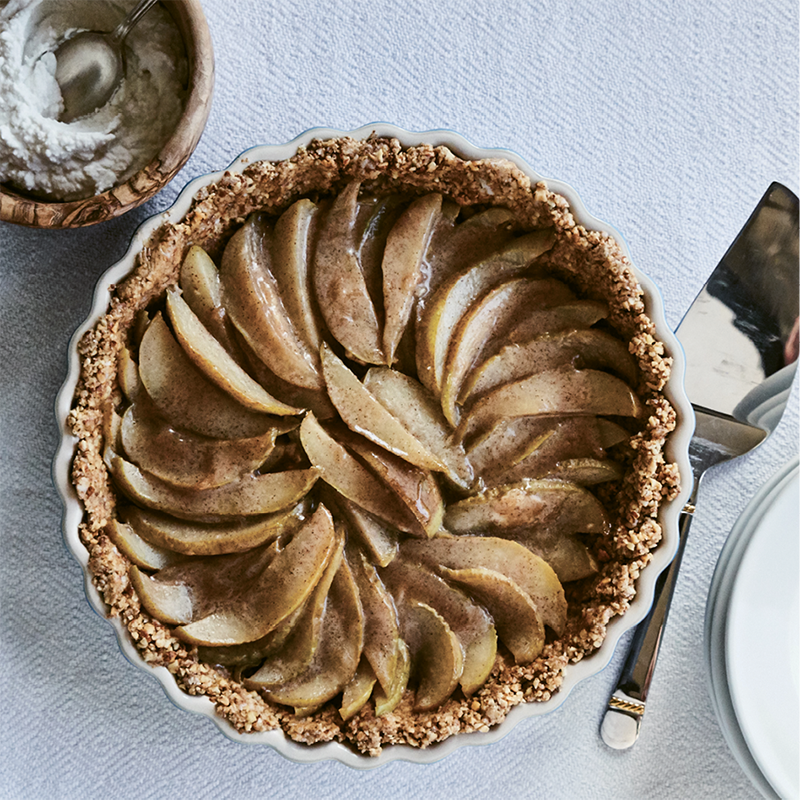 She finishes the menu with a Caramel Pear No-Bake Tart. By making the crust with walnuts and raw almonds and swapping cornstarch for arrowroot—a gluten-free, grain-free, and paleo-friendly alternative—she produces a guilt-free dessert.